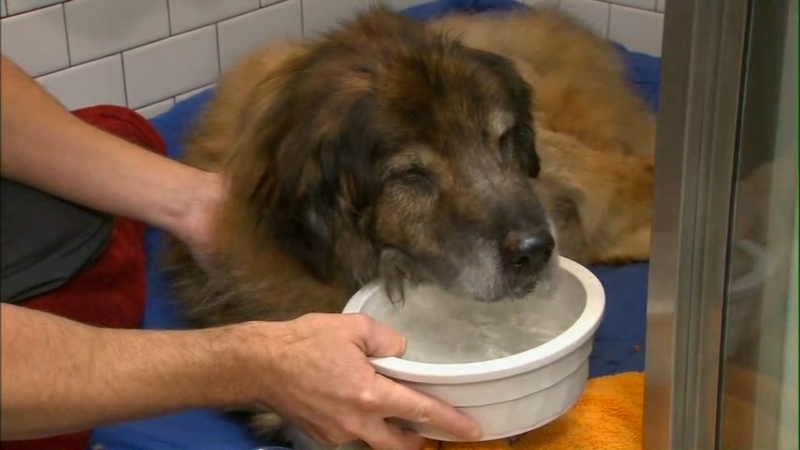 CYPRESS HILLS, Brooklyn -- An older dog was found with his mouth taped shut inside of a plastic garbage bag that was also taped shut in Brooklyn. The story may be disturbing to some readers and viewers. St. Vincent is a beautiful, maybe 10-year-old shepherd mix. He is very docile and friendly, which only adds to the outrage as to how someone could have so terribly abused such gentle a dog. "This isn't any advanced medicine, it's just TLC," veterinarian Dr. Brett Levitzke said. St. Vincent was rescued from a dumpster in Cypress Hills Tuesday. 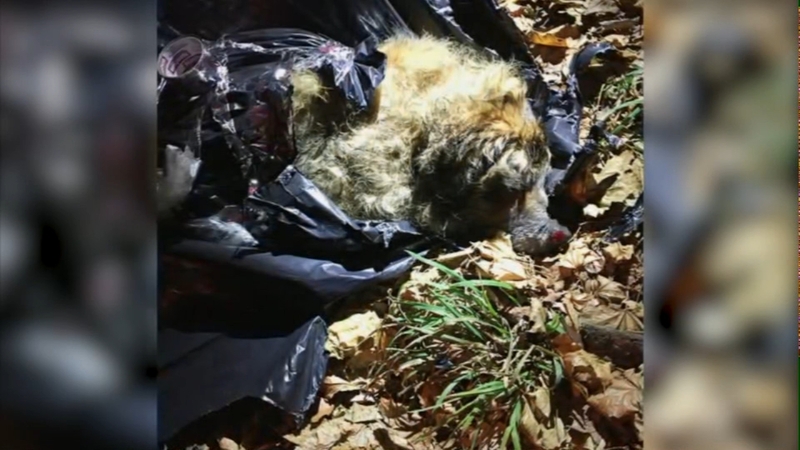 He was left in a plastic bag with his mouth bound in tape so no one could hear his cries. But someone did hear him and called police. As bad as this seems, St. Vincent has known a lifetime of it. 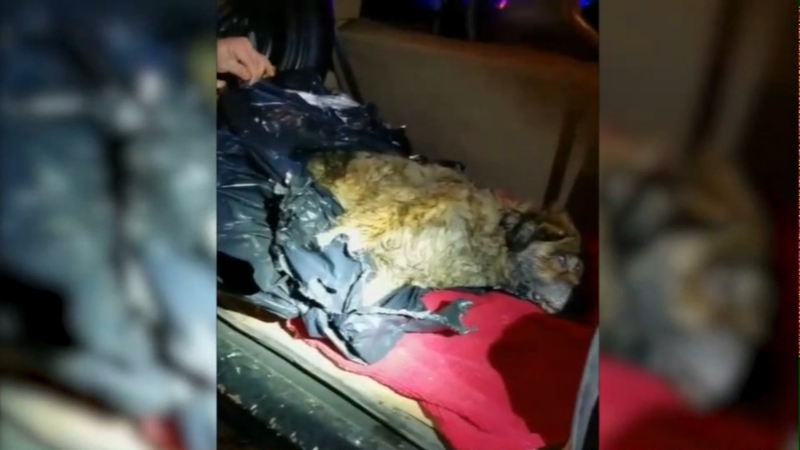 "This didn't happen overnight or over the course of a couple of days, this is sustained neglect and abuse, just basically leaving him lying in his own urine and feces to the point that he's developed massive infections," Dr. Levitzke said. "He was barely breathing," said Carla Mohan, of the New York Bully Crew. "He was bleeding from his nose, like I said, his mouth was taped up. They removed that. He was covered in urine. He has complete urine scalds all over his body." Doctors had to shave away his fur to treat the infections from long-term urine scalds. Given all he's been through, St. Vincent is doing pretty well, and his blood work came back great. He's got some infections and some hip issues, but he's going to be just fine. He's got good years left in front of him, and the New York Bully Crew will make sure they are very good years. Still, they're hoping someone knows who did this. "Someone is going to recognize him, and that's our hope," Dr. Levitzke said. "Someone will come forward so there can be some justice." There's a $4,500 reward for anyone who can lead police to the person who threw St. Vincent in the trash. Anyone interested in donating to St. Vincent's care can do so by visiting PositiveTails.org or NYBullyCrew.org. New York Bully Crew has taken responsibility for St. Vincent and is planning to re-home him after he is medically able to be adopted.